Watch the best Baby Rhymes for kids on SeeZisKids! Enjoy the most popular children's songs such as Johny Johny Yes Papa, Finger Family, Are You Sleeping Brother John, Five Little Monkeys and The Wheels On The Bus with kind and funny characters! These super Baby Rhymes will grab kids attention. Fully saturated with amazing adventures, nutty stories, and rhythmical nursery rhymes attract your kid's attention. Enjoy Johny Johny Yes Papa, Finger Family, Are You Sleeping Brother John, Five Little Monkeys and The Wheels On The Bus and more popular best songs non-stop nursery rhymes and precious fluffy pets! These colorful HD videos with Baby Rhymes will show you funny fairytale heroes who sing beautiful Baby Rhymes. Fluffy pets, wonderful princesses and heroes of popular fairy tales will plunge you in the atmosphere of marvelous adventures! These Baby Rhymes will help kids to learn best childish rhymes, develop their outlook and see enlightening stories with wonderful and the nicest heroes. 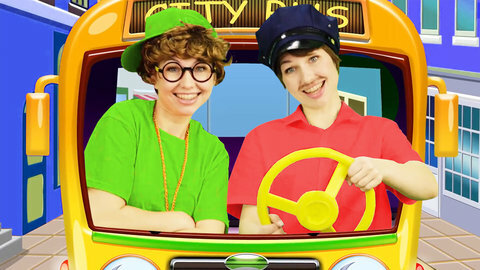 Watch Pretty - Patty nursery rhymes online for free on SeeZisKids. We know how important for a baby not to waste time watching videos but learn something new and useful. These videos will teach babies not just to know Baby Rhymes but also how to help others and how to work as a team. Watch videos with Baby Rhymes for KIDS about funny animals and fairy tale' heroes online for free!